Machine learning is one of the tech buzzwords of the moment. But it’s only in the last decade, thanks to increased computational power, that more general forms of machine learning like ‘deep learning’ have become viable. Crucially, these models rely on much less domain specific knowledge from humans, and instead ‘fill in the gaps’ on their own. Moreover, tech giants like Google, Amazon and Microsoft have released tools and frameworks designed to help other companies develop machine learning capabilities. This has fuelled an explosion of companies delving into machine learning, which has hugely accelerated the development and application of artificial intelligence (AI) as developers no longer need to build applications line by line of code. If they have the expertise they can simply create an algorithm that learns the necessary tasks on its own. Google is now working on machine learning algorithms designed to build other machine learning algorithms. AI is now building AI. This could go some way to meeting the soaring demand for developers with the expertise needed to build such complex algorithms. Some estimates suggest there are only about 10,000 people in the world with the level of education, experience and talent needed to build complex mathematical algorithms needed to drive machine learning forwards. 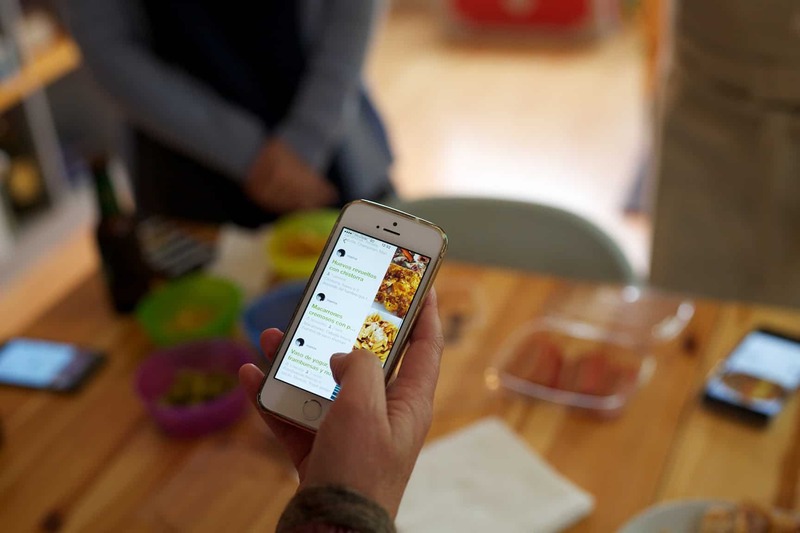 At Cookpad, our mission is simple – we want to make everyday cooking fun. While it is a simple mission to get more people cooking, making it happen with this emerging tech is far from simple. When you think about it, cooking every day is no easy feat. It starts with a complex optimisation process, with many constraints: time, taste, ingredients, mood, skill – followed by time investment, dedication and a good degree of frustration before it becomes rewarding. 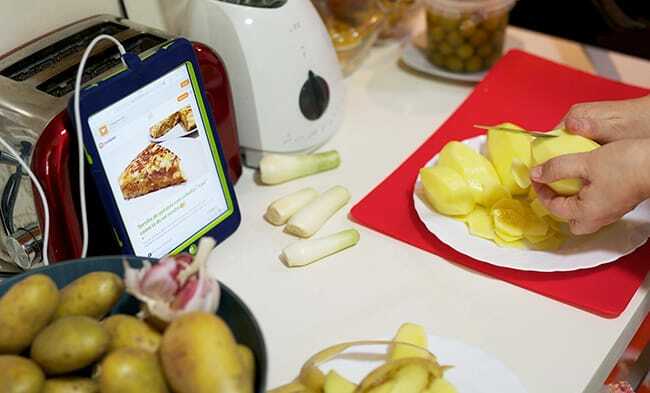 We are enjoying unprecedented volume of available information, advice and technology: but paradoxically this is still generic and of limited use for our everyday cooking – even detrimental. So can AI and machine learning automate all the repetitive tasks and just leave the fun to us? I think that the key is understanding how these constraints apply to each one of us. This has been largely neglected when organising information because it needs to go beyond a generic ‘personalisation’ – which has really become an oxymoron! We want to create intelligent assistants, one for each of our users, that can digest millions of data points, make sense of them and capture those constraints as they happen. The aim? To remove as much complexity from the decision process as possible. Of course, we can’t ask a million questions. But on one hand we all have cameras, microphones, accelerometers and powerful computing units with us at all times. On the other hand, machine learning breakthroughs keep bridging the gap between computers and humans in image, voice and text interaction. We will combine these two crucial elements to train our AI assistants in a natural way. But wait – how did people manage for millennia without all this? And wouldn’t the spontaneity of cooking suffer from it? Cooking has always been passed on from generation to generation, from friends to friends – this has been our way to develop amazing flavour associations, techniques, tools, habits and rituals. And I think that successful spontaneity relies on well-trained skills. So, in my mind, sharing and learning go hand in hand. We want to use machine learning to facilitate sharing and learning from other cooks, making cooking less daunting and more adventurous. Cookpad is the largest community of cooks in the world. All our content is user generated, and although this presents us with more technical challenges, authors add personality to their recipes: in fact, some of the recipes become very popular because of it. I think that such a direct access to people will allow us to share knowledge in completely new ways. To help people access the information relevant to them and to share tips and communicate with others more easily, we need to create AI that understands people. This means more communication and interaction: we are using machine learning for a more ‘human’ interface, with less typing and more talking, pictures and videos. Users will have expert advice at hand if they get stuck. 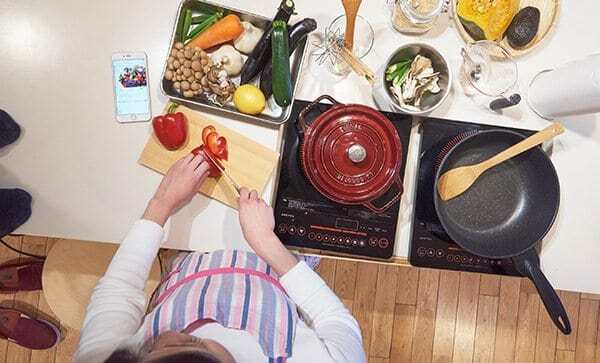 They will be able to search for recipes or ingredients using images and access timely information without laborious searches, and they will reach receptive users with their recipes and tips. This requires the development of neural networks to enable communication through images, videos or speech in the form of Natural Language Processing (NLP) which will not only understand spoken words but also learn to respond using similar language. Machine learning is needed here to help Cookpad’s systems understand the complexities of human language and learn to respond in a way the specific audience will understand – Cookpad operates across 22 languages in 70 countries. Recruiting developers and machine learning experts of the calibre we want is difficult as demand hugely outweighs supply. We need to appeal to a global pool of tech experts. Being based in Bristol helps, both in sourcing and attracting talent in the tech space from nearby and overseas. It was vital Cookpad found a location that fostered innovation, emerging tech talent and a thriving tech business community. Named as one of the UK’s fastest growing and globally significant tech clusters, Bristol offered all of this. The region has been producing specialist microprocessors, talented developers and silicon chips for the last 30 years, and has the largest concentration of silicon designers outside of Silicon Valley. We needed to grow our teams rapidly, with an initial aim to recruit an additional 75 like-minded new team members to bring our Bristol contingent up to 100 by Spring 2018. Having four world-class universities in Bristol and Bath very close at hand is unique in the UK outside of London and we were keen to develop relationships with these academic institutions on research, learning and nurture young tech talent. With so many tech and digital companies choosing to base themselves in or around Bristol, the city boasts fantastic tech and business growth networks. 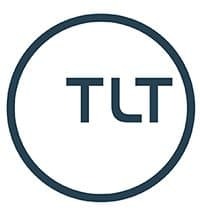 But despite its popularity and booming economy, it remains a calm enough place that people can achieve the focus needed to deliver leading digital products. If you’re interested in finding out more about the roles currently available at Cookpad, visit https://cookpad.workable.com/. You can also stay up-to-date with their latest tech by joining the social network via the Cookpad website or by following them on Twitter here: @Cookpad_UK. Born and educated in Italy, Gianandrea joined Cookpad Ltd earlier this year as its machine learning lead after two years running his own machine learning company Gixante in London. Before setting up Gixante, Gianandrea ran the predictive analytics team for VisualDNA, which specialised in audience targeting, consumer insights and analytics using psychology combined with creative applications and big data. He also has several years’ experience working for investment companies in Chicago and London.